The First and Second Estates were made up of clergy and nobles. 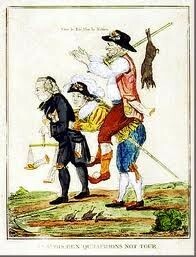 The Third Estate was made up of all the other people mainly consisting peasants. They had to pay heavy taxes while the First and Second Estates were exempt from the taxes and had special privileges. He was a French king who added to the debt left by his grandfather during the American Revolution. 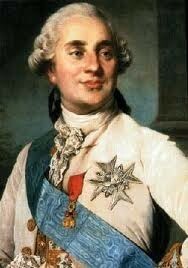 Louis convened the Estates General which led to and outbreak. In 1993 he was beheaded. Representatives in the National Convention who called for solutions to France's problems and spoke for the peasants and poor people. Maximilien Robespierre was the leader of the Jacobins who tried to silence all enemies of the Revolution so France could be saved from invasion. 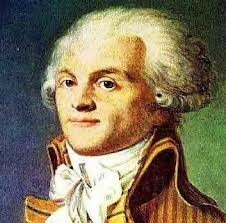 On July 28, 1794, Robespierre was executed once the Thermidorian Reaction started. 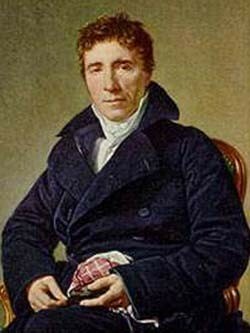 Sieyès was a strong supporter of the Third Estate and believed the First and Second Estates did absolutely nothing to benefit the nation. In 1789 he wrote "What is the Third Estate?" and tried to help the Third Estate gain more political and economic power. The Thermidorian Reaction took place after Robespierre and the Jacobins and was a time of restructuring the government. This led to the Constitution of 1795 which was a more conservative National Convention. The Directory was formed to control executive responsibilities and helped rival all the revolutionaries France had faced in the past.